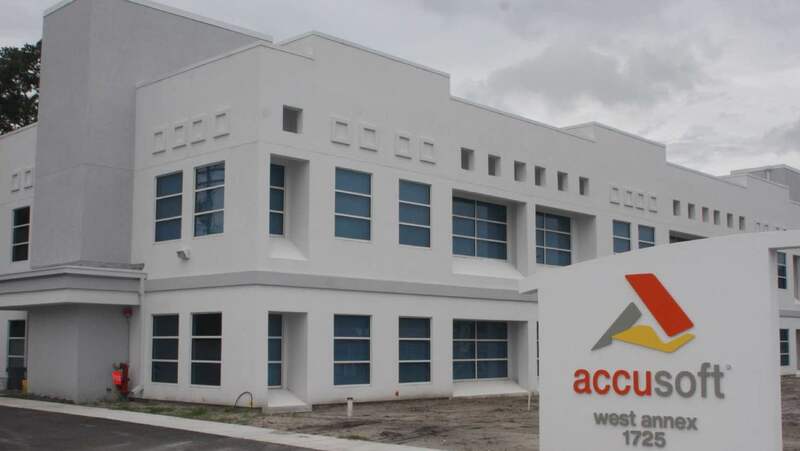 TAMPA, Fla. – On January 24, 2019, Accusoft began the process of consolidating their buildings into two core work spaces. Moving from three large buildings to two will help the departments increase productivity and collaboration. Since the opening of the East Annex in 2016, Accusoft has expanded the staff exponentially. The East Annex serves as a technology center for the company, housing its innovative software engineers in a more open and modern environment. The teams were previously spread between three large buildings on Dr. Martin Luther King Blvd in Tampa. The barrier between the three buildings was the Hillsborough River, separating the West Annex from Headquarters and the new addition of East. "We spend well over half of our time at the office each week, so we wanted to make our space as comfortable and collaborative as possible. Consolidating our buildings and providing a tech center that helps our staff work more efficiently was a no-brainer," says Christine Hairelson, Director of HR at Accusoft. The West Annex, located across the Hillsborough River, is now up for sale. The consolidation of Accusoft's three buildings will provide a more productive work environment for the 150+ employees that collaborate together within. Accusoft is a software development company specializing in content processing, conversion, and automation solutions. From out-of-the-box and configurable applications to APIs built for developers, we help organizations solve their most complex content workflow challenges. Our patented solutions enable users to gain insight from content in any format, on any device, with greater efficiency, flexibility, and security. Visit www.accusoft.com for more information.